The National holocaust centre has commissioned SQR group with the national important task of securing its centre in Nottingham shire. SQR group will approach this sombre and important task with dedication, professionalism and the sensitivity it demands so that the lessons of the past can be safe guarded for future generations. This is a name given to the type of attack that causes the security professionals with the greatest challenge. It’s a paradoxical name as wolves generally act in packs. The lone wolf will have only loose connection to identifiable organisations or persons who pose security threats, he might have been influenced by ideas, individuals or self-generated delusions. The lone wolf follows no particular pattern in particular though it has been suggested after some study that many suffer from mental and social disorders. They come from the general population and do not belong to a particular social and racial group. The lone wolf does not belong to a command structure, he decides and he plans and he carries out the act. Their motives can be staggeringly varied political, religious, seeking fame or playing out a fantastical delusion based on all of the conceivable motives. Lone wolf can be a white supremacist, Jihadi or just an angry young man! This as can be understood very difficult to detect and responded to in a timely manner in fact luck can be the biggest factor in detecting such individuals, that leaves responding which can only be based on speed , efficiency and dedicated units in the right place and the right time ,here is the element of luck again! The terrorist groups have not be slow in utilising the lone wolf and very carefully do not connect directly and concentrate on using social media to agitate ,call out for acts or radicalise and praise. They have had a head start on use of psychological techniques in order to motivate individuals to commit extreme acts of violence on others and on themselves. They have also manage to create a lone wolf mentality in small groups, where small group will act in complete independence and randomness with almost no tangible association or connection with an identifiable organisation, this is different from the small cell system of old where at least one person in the cell had a veiled connection to an organisation and targets and timing and logistics would be sourced or directed and a leader or a commander could be identified upon examination. The mass trolling for data and intelligence across all communication networks social and other wise by governments and their agencies is an attempt basically to get Lucky! This properly is the thought on the mind of Dayesh (isis) commanders in Syria. Daily revelations on movement of troops and equipment from Russia to Syria have been on the news wires additionally the Russian leader has for the first time this week hinted at this during interviews. The reports suggests that Jableh airbase in the regime’s strong hold has rapidly been upgraded to receive heavy transport plane such as Antonov-124 Condor with a pay load of over a 100 tons and third generation T90 tanks and high number of infantry fighting vehicles alongside R-166-0.5 command and control vehicles which are ultra-high frequency enabled allowing communications over hundreds of miles with battlefield assets. These have been spotted along high way 4 which links the government strong hold with Dayesh(isis) occupied territory. There has been reports also of UAVs and artillery pieces moving into place alongside over1500 marines. The air field will no doubt begin to host attack helicopters and ground support aircrafts soon. Putin has proved that he is not shy of a fight when Russian strategic interests are at risk he has further proven this by placing S 300 long range anti-aircraft missile systems in place which have 100 mile range given that Dayesh (isis) possess no air craft this is a message for Turkish, Israeli and Nato planners. The Russian leader is unlikely to encounter any negative world public opinions in fighting Dayesh (isis) and seem to be driving his position home in the strongest way possible, while the western governments have either refrained or decide to arm the so called moderate rebels with varying results. The American program of training and arming this fractured group has resulted in a farce for after spending $41millions they have just admitted that out of the initial 500 trained and send back home only 4-5 individuals are active today!! The rest having scattered after the first battle. The ongoing air campaign has yielded limited battle field results and has been criticised for lack of intensity and effectiveness by observers on the ground. The Russian move has already started to yield political results ,the American secretary for the state has already called for discussions with Russia and has also is airing the notion of working with president Assad of Syria and the Iranians with his European allies. By having troops on the ground the Russians have taken the lead and have ensured their interests will be protected and that they will be in a lead position in dictating military and political strategy . If you are heading to Syria on contracts do not be surprised to hear or see Russians calling the shouts and beware they don’t take too kindly to private armed contractors in the area of their operations . SQR security group is proud to announce its new assignments of providing 24/7 security for some of capital’s most prestigious and valued properties. These include One Strand at the heart of the metropolis , 33 Grosvenor place , the millennium office complex in the City’s financial centre and FC 200 in the new business development of west London. The award of these contracts to SQR is based on the quality and reliability of its management and personnel. The Met police has responded to the changing threats from terrorism by creating military style unit which are reputed to be over hundred strong. This unit have been involved in wide scale anti-terrorism drills conducted in London on 30th of June 2015. This unit’s creation has been inspired by the lessons in the latest attacks on major civilian targets around the world. The units name is counter-terrorism specialist firearms officers (CTSFO).The units has been equipped with new weapons and has been training along the side the military to sharpen its skills and also learn a completely new set of methods . If one examined the Mumbai attack or the Nairobi attack one can identify the task at hand, both were exemplified by being attacks in major cities that had random seeking of targets of opportunity in populated centres ending with hostage taking to prolong the newsfeed and maximise the impacts. Countering these type of attacks requires rapid decisive response using deadly force to reduce causalities hence they have provisions to travel by fast boats and have been trained to use helicopters both for travel and rapid rope descent if need be. To be effective against such attacks officers also need to be operating in and out of uniform in a wide dispersal arrangements as these kind of attacks have shown that it’s no longer high value targets in the traditional sense that need to be protected and reached rapidly but shopping centres, high streets, railways or any random points on the map. This is because worldwide publicity can be gained regardless of value of the targets in any classic sense but by sheer brutality married to hunger of media and the general public with their access to social media to promoted it instantly. The facts are that despite all the planning and training or intelligence activities the Lone Wolf attack are extremely difficult to counter. Call it by its name! ISIS,ISEL,Dayesh ? Call it by its name! Dayesh is the name used in the region to describe this organisation , it was also adopted by US military, French government and Australians. The British and many international news media however seem to be reluctant to use this and insist on using the various version that include Islamic and state as adjectives! However we are beginning to see in UK first signs from the governmental level in the way the organisation is referred to. This change of approach is the first sign of multi-level approach to counter the organisation who are very media aware and effective in manipulating press and social media. For this approach to work the international media and social media organisations need to play their parts. More importantly the governments need to be clear where the traditional source of support and finance have been for this organisation and bring to bear pressures and more importantly make hard choices as to who to formulate new alliances with in the region the USA seem to have made some choice on this level by their tentative conversation with the Iranians who were one of the first in the region to confront this organisation and its brothers in arm. The public campaign that must be waged has to start with naming the source of the ideology that has been the driving force behind this terrorist organisation which are the Wahhabi and Salafi sects of Islam which are the dominant and state sponsored in Saudi Arabia and some of the small states in the Persian gulf region . https://www.sqrgroup.com/wp-content/uploads/2015/06/flag-of-dayesh.jpg 234 300 Poorang https://www.sqrgroup.com/wp-content/uploads/2018/05/sqr-logo.png Poorang2015-06-30 13:19:482015-07-08 11:00:44Call it by its name! ISIS,ISEL,Dayesh ? Russian standpoint in Ukraine and Baltic, the handover of all operations in Afghanistan to local forces and a renewed campaign in Iraq to counter ISIS not mention the deteriorating situation in Libya and Syria have all joined forces to create a challenging scenario for security and policy-makers in UK. The Russian have made themselves very clear with regards to their redline and have shown the ability to move swiftly and decisively both militarily and politically in defence of their position with regards to Nato’s eastward spread and changing alliances of their former republics. In Afghanistan UK has to play the waiting game to see if the local forces can maintain stability and hold their positions and to see if the proxies of its allies in the region namely Pakistan can reign in its military’s desire to keep its own clients in the fight. In Syria the confusing and misguided initial approach in supporting the oppositions before allowing the lessons in Libya to be learnt have created an intense civil war that has acted as feeding ground for a number of terrorist organisation such as ISIS who have created huge problems of their own for the world and in particular in the neighbouring countries. Libya has transcended in to chaos of various armed militia controlling land, assets and confronting two different governments looking to international recognition. Sub-Sahara has become a new focal point for violent Islamic radicalism spreading into West African countries such as Nigeria, Mali and others. The Saudi military adventurism in Yemen along with a few paid for allies has add to this heady mixture of interwoven issues. The growing refugee crises in the Mediterranean is just a small by product of the above though a tragic one. The UK position is further complicated by alliances and existing commitments. The fact that must be kept in sharp focus is that UK mainland security is very much dependant on dealing with the underlying causes of these issues. The questions that need to be asked are these. Is short term military adventurism driven by political PR opportunity worth the consequences? Do we have the right allies in the Middle East or is it time to apply some realpolitik in making new friends? How much of the responsibility the West have to bear for the rise of Islamic extremism? To befriend the Russian bear or provoke it? These are just some of the UK Security dilemma facing UK. The capture of Ramadi which by all accounts took place mostly because of a non-tactical withdrawal! Which seems to be a favourite tactics of Iraqi field commanders. In response the Shia Militias who have been mobilised to respond they have been instrumental in halting and turning the tide of ISIS successes since last year. The Iranian defence minister also has flown to Baghdad , Iranians have been engaged against the ISIS from the beginning with men and equipment and its guaranteed that they will put additional resources into the upcoming battle to recapture Ramadi. ISIS seems to be experiencing difficulties firstly with its leader Abu Bakr al-Baghdadi rumoured to have been injured in an air strike and replaced by Abu Alaa al-Afri a senior official, though a recent tape recording released at least means he is a live. Secondly the loss of control of Tikrit and %30 of the territories largely thanks to the effort of Shia militias with assistance from Iran in secret coordination with USA through Iraqi channels. Does the west really want the complete defeat of ISIS? Where would all the militants go? Perpetual low level war in Syria and Iraq seems to be a solution to the second and answers the first question also. ISIS claim responsibility for the TEXAS shooting. This of course is in line with their focused PR activity which they have proven themselves to be very good at, and they are not the first group to claim responsibility for a very loosely connected event to increase their share of the market in terror. The core strength of a group such as ISIS is ideological approach it uses to motivate its forces .Let’s face it eternal life and place in heaven not to mention 70 virgin and the rest must seem very attractive if you have already accepted the extreme religious narrative and the simple answers it provides to very complex questions in life. To weaken and challenge this ideology you must start at the same stating line as them simply put in places of warship, religiously funded and attended academic establishments ,public education system and in the media especially the digital sphere. Guns and soldiers in the order of battle against such groups are the last line of defence. As by the time they are used we may have already lost so much ground that we would effectively be fighting on the last foot. Many rumours are around about collusion of western intelligence services and their allies regarding funding and arming of such groups. The simplest and safest assumption given the nature of such service is that most of them are true as they work and operate in an interlinked maze of deceit and intrigue. There are already good evidence that a Nato member Turkey has been a key supplier and transit route for supply of weapons and cash. Look deeper and many allies of West in the Middle East can also be implicated in this mess. So far the only effects of ISIS in the other places beside in the Middle East has been additional security measure and a presented reason for all the intrusive surveillance that the public has become subjected to. The possibilities of a genuine attack by ISIS in Europe and further a filed is still high but so far beside threats and occasional beheadings and murder to underscore the projection of fear not much is evident . MI5 states that the security level in UK is sever. The impact of foreign policy decisions have seem to enflamed the dangers on the home front further. The complexities of the Middle East conflict have seemed to overtaken the processing powers of the policy makers .The seemingly unexplainable position in arming and training various armed factions with sophisticated weaponry in the shifting sands of loyalties and zigzagging policy positions have clearly increased the risks in UK. The UK’s position is further undermined by the fact that some of its allies and partners in the region have for some time financed and assisted the hard line Sunni Islam sect that have fuelled ISIS in its atrocities. Furthermore the same sponsors have been allowed for over two decade to finance their own particular Islamic sects (Wahhabi & Salafi) in UK by Building mosques and appointing Imams to propagate their version of Islam. 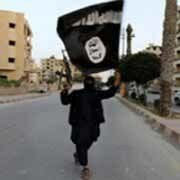 This has set the scene for birth of Islamic radicalism in UK. This has led to UK born jihadists and terrorist who not only travel to fight for ISIS but also are the main reason for the UK security level being set to SEVER. The only way forward is a complete realignment of policies of western powers in the region allied with reappraisal of the origins of security threats and risks in UK. The partnership will remove all logistic and management costs involved in running a training centre while offering a professionally run course to your applicants & existing staff and still enjoying from financial benefits for your company. 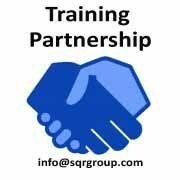 This scheme is based upon SQR carrying out the courses on your behalf of its official corporate partners. SQR group specialises in running an enhanced Close Protection course incorporating additional modules such as over seas Firearm training, Urban Surveillance and Krav Maga self defence. If you are operating a security company and would like to provide training this offers a perfect solution. Our training is conducted at our fully equipped North London HQ by our team of highly qualified instructors. SQR courses are unique in their depth, attention to detail, cost effectiveness and direct input by the founders of SQR who are some of the most experienced in the security field in the world. SQR group has been conducting close protection courses for over two years in London .SQR group is also a major provider of operatives in the field of close protection .